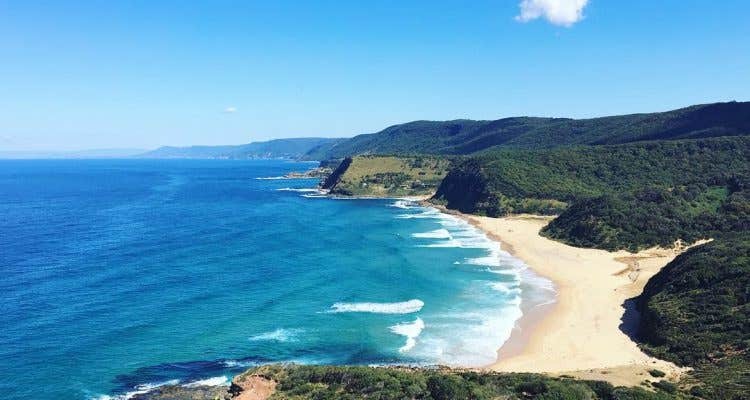 The Coast Track is a stunning multi-day walk offering expansive panoramic views, unbelievable swimming spots, birds eye views of crashing waves and long stretched beaches that can be done in either direction. The North Era Campground offers a perfect midway point to go for a swim, set up camp and watch the sun go down. This magnificent track runs from Bundeena to Otford, with both ends being accessible by public transport. Access: You can access this track from either end, which offers flexibility when coming in from the city. To access the Bundeena entrance, take the Eastern Suburbs train line to Cronulla (50 minutes), then walk 5 minutes to the Cronulla Wharf, where you can hop on the Buneena ferry (30 minutes). After disembarking, walk 1.5 km to the end of Beachcomber Avenue. To access the Otford Entrance, take the South Coast Line (1 hour) to Otford Station, then walk 2 km towards Lady Wakehurst Drive and turn right onto the Cliff Track. Highlights: Pack your rods and tackle kits – some of the beaches on the Coast Track are perfect to try your hand at throwing in a line from the beach (give Garie Beach a go!). Furthermore, on this walk you will pass by the iconic Wedding Cake Rock, Eagle Rock, Figure 8 Pools and Garie Beach. If you time it right, you might be able to spot whales along the Coast Track. Humpback whales and southern right whales sail north for warmer waters throughout June and into July, and return southwards from around September to November. Know Before You Go: Check the Cronulla Ferry Timetable before you head out. Whether you’re taking it on the way in or the way out, it’s good to keep in mind that the ferry is cash only, and it does not accept OPAL cards or any other payment methods. 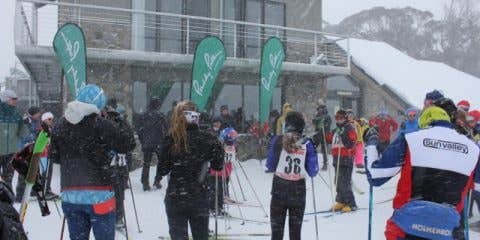 There are no drinking water sources along the track, so as always, make sure you pack for the occasion and bring enough water for you and your group (or bring a water treatment system). Bring a stove to cook food, as no fires are permitted at North Era Campground. This national park has been previously subject to bush fires, so make sure to check the current local conditions before you head off. #Experienceiseverything Staff Tips: Our Paramatta Store Staffer, Paul, recently took his daughter on her first overnight hike. 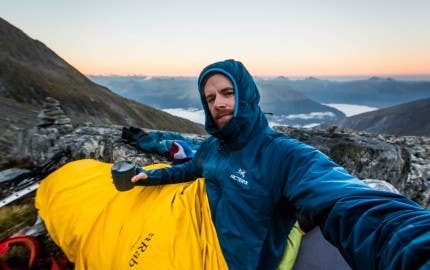 He found the trip to be a manageable distance, with enough variety to keep kids interested, safe camping spots and close enough to Sydney that the journey was entirely feasible for a weekend. Check out our selection of kids’ gear and clothing and get ready for your family bush walk! In the Illawarra Escarpment State Conservation Area, this bush walk has a much greater work for rewards ratio. A short hike up offers bushwalkers views overlooking the surrounding beach towns at the top and beautiful wildlife throughout the track engrossed by rainforest. Access: Take the South Coast Line to Austinmer station (1 hour 20 minutes) and walk roughly 1 kilometre to the foot of the track. The track branches off the footpath that joins Foothills Road and Buttenshaw Drive. 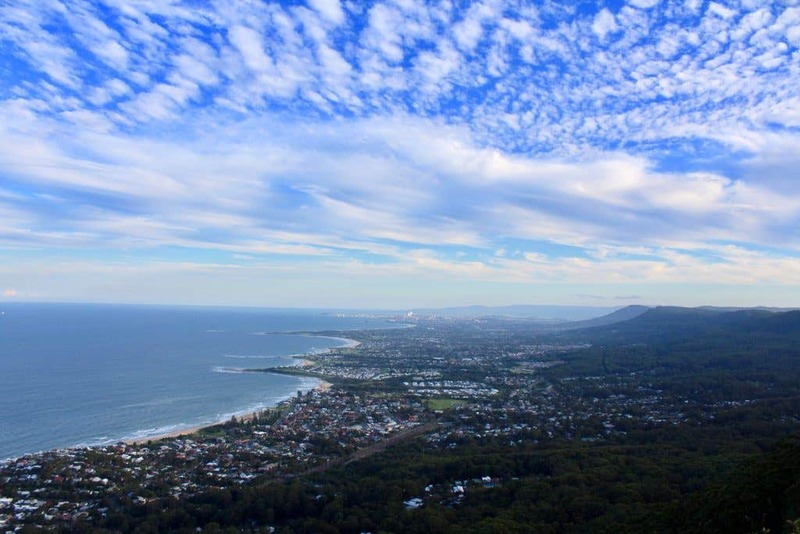 You will see street signs directing you to the Sublime Point Lookout track along the way. Know Before You Go: The train times are sparse from these stations, so be sure to plan your transportation in both directions. 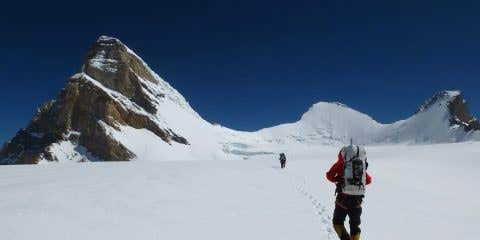 The track is short and steep, but has rewarding scenery when you reach the top of the plateau. After rainfall, the track can get quite muddy and slippery so take care and wear proper footwear! 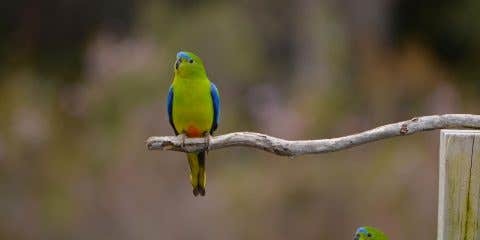 Highlights: Bird watching as you walk through lush coastal rain forest (keep your eyes peeled for yellow-tailed black cockatoos, falcons and kestrels). Ladders and netted staircases make for very interesting terrain! #Experienceiseverything Staff Tips: Make a day out of it! When we went, we headed out of the city early in the morning, and had the chance to visit the beautiful beaches in Austinmer. You could also stop on the way up or down at Bald Hill Lookout (get off at Otford Station and walk 2.2 kilometers), for beautiful views and the possibility of seeing pods of dolphins if you are lucky! The Manly to Spit Bridge Walk offers a short walk with a number of pristine beaches where you can enjoy a refreshing swim and a picnic. Weaving through Sydney Harbour National Park, this easily accessible walk is an ideal way to spend a sunny day. This track can be done from either direction. Access: Make your way to Circular Quay (via train, bus or on foot) and take either the Manly Ferry (or the Manly Fast Ferry if you’re in a hurry) seven nautical miles to Manly wharf. If you would like to do the walk starting from the Spit Bridge, you can either take the ferry to Manly then take a bus (144) to Spit Bridge, or you can bus directly to Spit Bridge from the city. However, we highly recommend taking the ferry, as it is a scenic ride through the harbour with a chance to admire the Opera House and the Sydney Harbour Bridge. Beats a sweaty bus, by far! Know Before You Go: The walk is well sign posted, and takes 3-4 hours to complete in full. We recently had some visitors to Australia learn this the hard way, but despite its inner city feel, it is not a walk suitable for thongs or high heels. Make sure to wear suitable walking footwear, pack swimmers and towels, and ample water to enjoy your day! #Experienceiseverything Staff Tips: Even before you reach the walk, make sure to sit outside on the ferry on a nice day. This walk can be done in sections, and is quite relaxed, so take it at your own pace and create your own bush walk based on what you want to see. If you’d like to see beaches, stop and enjoy Reef Beach or Forty Baskets Beach. Whale migrating season is between May and November, so keep an eye out and if you’re a wildlife enthusiast like myself bring your binoculars and camera. Enjoy some of what the Northern Beaches has to offer by enjoying the view from a cafe or restaurant at either side of the walk. The Kiama Coast Walk is a 5 kilometer one way track that boasts amazing headland views, blowholes, rivers, killer waves and experts taking them on! This flat walk is perfect for all ages and abilities, is extremely close to public transportation stations, and most sections are dog friendly! 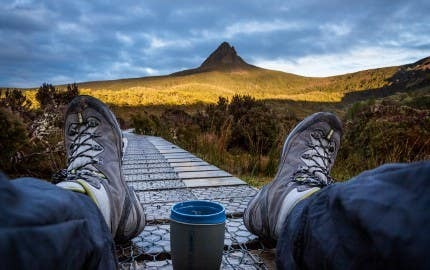 Since the walk begins in Minnamurra and passes through Kiama Downs, Bombo, Kiama, Kiama Heights, and ends near Gerringong, there are many places to begin and end your walk based on your abilities and time constrictions. This coast walk is a medley of sealed pathways, beaches as well as dirt and grassy tracks. Access: This walk takes you from Minnamurra and ends in Gerringong, making both ends of the track very accessible by public transport. We recommend starting in Minnamurra. Take the South Coast Line to Minnamurra (2 hours 5 minutes), then walk 1.5 kilometers along Charles Avenue until you meet the cross street Federal St. The track starts around here, heading toward Minnamurra point and down the coast towards Jones Beach. After completing this beautiful walk, you can catch the South Coast Line heading north from Gerringong station back up to the city (2 hours 20 minutes). 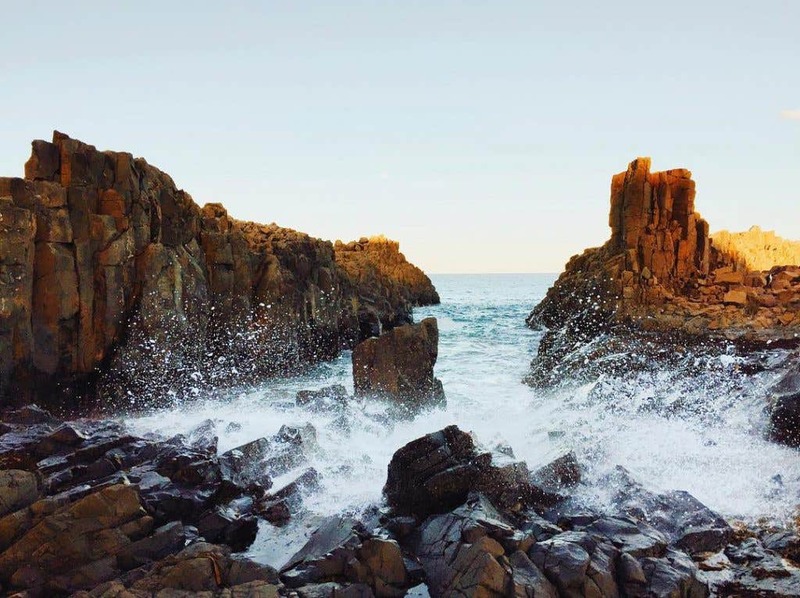 Highlights: Little Blow Hole, Bombo Headland, Cathedral Rocks – many picturesque stops along this walk! Know Before You Go: Cellphone reception can be spotty in this area. If you do bring your dog, watch for signs and marked beaches that do not permit dog access. #Experienceiseverything Staff Tips: At the very beginning of the walk you will pass by the Minnnamurra River, which is an amazing place to pass some time swimming, snorkeling, kayaking or having a picnic. Looking across the tidal river mouth, you will find a secluded stretch of sand that is Mystics Beach. There are heaps of swimming spots along this walk, so make sure to bring swimmers and snorkel gear as the marine life in this area is great. We love walks that offer an opportunity for multiple activities. 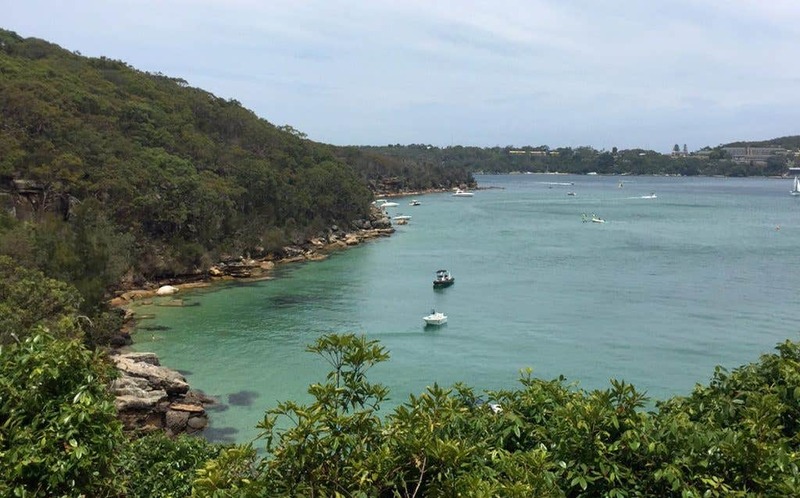 Minnamurra River, at the beginning of the walk, is a great swimming, kayaking, snorkeling and picnic spot. Across the tidal river mouth, discover the remote sands of Mystics beach. Mount Solitary is a great challenging walk in the Blue Mountains National Park. The track exposes bush walkers through various woodlands and rain forests. After conquering the steep elevation, walkers are rewarded with views of the sparkling Blue Mountains in all directions. 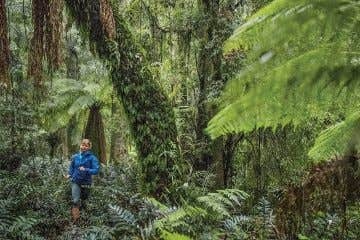 National Parks NSW recommends 6-9 hours to complete this hike. 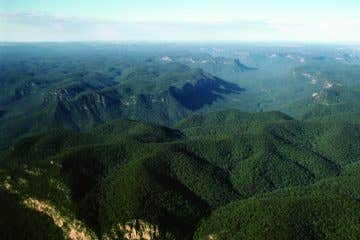 Access: Take the Blue Mountains train line to Katoomba Station (2 hours) then walk to Furber Steps (near Scenic World). From the historic Federal Pass, walk along the old horse drawn tramway toward the Ruined Castle. Then, there is a rough track from Koorowall Knifee Edge up to the ride of Mount Solitary. Highlights: The epic Katoomba cliff-line, this unbeatable National Park is the most mountainous terrain you will see this close to the big city! Know Before You Go: Carry lots of water on hot days, always pack more than you think you’ll need. This is a steep climb, and much of the trail you are exposed to the sun. #Experienceiseverything Staff Tips: There are campsites on the way to Mount Solitary from Katoomba where you can fill up water, but we always recommend you have a proper water treatment system. If you’re up for a quick detour, check out Chinamans Gully which provides keen bush walkers with expansive views of the valley. Before the summit, stop at Ruined Castle, which is a great spot to plunk down and have lunch. If you’re keen to add on a few kilometers to your trek, you can extend the hike by continuing on the walking track to Wentworth falls, making a big loop (bring your camping gear!). The Bouddi Coastal Walk gives all bush walking enthusiasts an even better reason to escape the city – this time heading north! 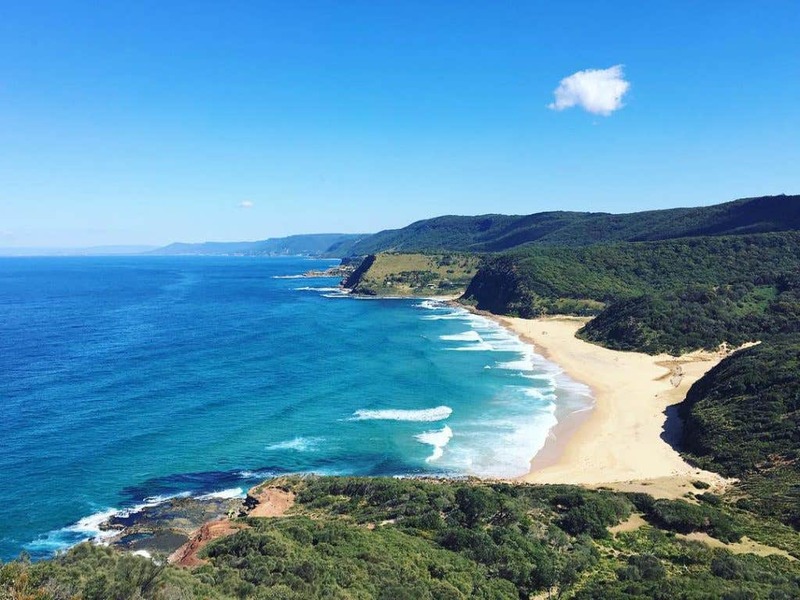 Up near Gosford, the Bouddi Coastal Walk can be easily tackled in a day, but can also be extended and made into a camping trip at near by Little Beach campground, Putty Beach campground, or Tallow Beach campground. Hugging the coastline of Bouddi National Park, the Bouddi Coastal Walk boasts multiple beaches within its stretch between Putty Beach and McMasters Beach. 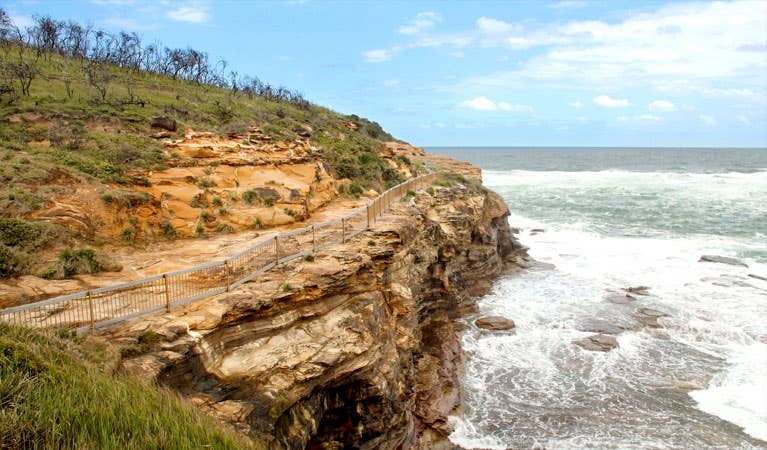 National Parks NSW recommends roughly 3.5 – 4.5 hours to complete this track with beautiful boardwalks and spectacular beaches. Access: Take the train towards Newcastle on the Central Coast & Newcastle line to Woy Woy station, walk one minute to Woy Woy Interchange. From here, you can take a bus (for example, the 59 towards Wagstaffe) for 40 minutes to Nukura Ave at Beach Drive. Once off the bus, follow Putty Beach Drive (which turns into Putty Beach road) for about 1 kilometre until you reach Putty Beach and the entrance of the Bouddi Coastal Walk. Highlights: Snorkelling at Maitland Bay. Know Before You Go: This walk is clearly signposted, and no bush walking experience is required. It’s a perfect spot for people looking to get started in the outdoors, as well as a relaxing walk with options to camp for seasoned walkers looking to escape the city’s hustle and bustle. Although the terrain is simple, pets are unfortunately not permitted on this bush walk. 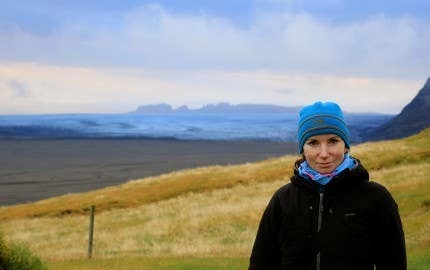 #Experienceiseverything Staff Tips: If you have the time, definitely make a camping trip out of this walk. These secluded campsites tucked away near the beach are hard to beat! Especially this close to the city. If you’re looking for a place to relax and take a break from a busy week, this is the place for you! For a more scenic (but a little bit longer) journey to Putty Beach, you could make your way by bus to Palm Beach, then board the ferry from Palm Beach to Wagstaffe Wharf (20 minutes), walk 2 minutes to Wagstaffe Hall, and take the bus (59 towards Empire Bay), disembarking at Killcare Rd at Nukara Ave. Similarly to the train option, follow Putty Beach drive which becomes Putty Beach road until you reach the beach and the entrance to the coastal walk. 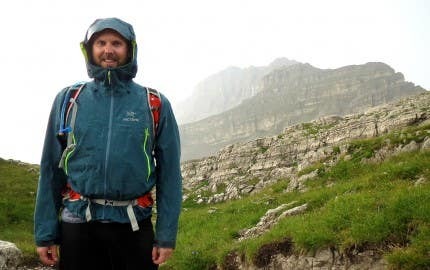 Now, we hope that this posts brings hope for car-less outdoor enthusiasts. Public transport is also a great way to make your outdoor adventure a little bit greener. Happy Walking! 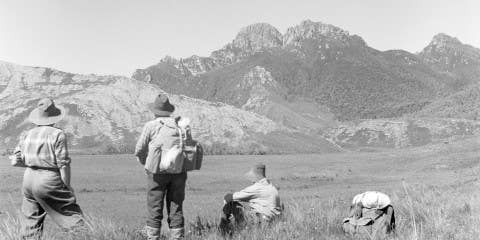 One of my favourite is exploring the Grose Valley from Blackheath station in the Blue Mtns. 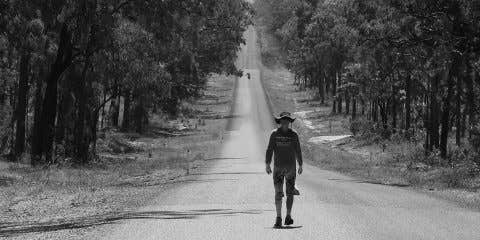 The walk includes: Grand Canyon – Rodriguez Pass – Junction Rock – Govetts Leap. It’s a big day but well worth the effort. Head out to the trail head of the Grand Canyon on Evans Lookout Rd. At this point you can either head into the canyon or walk the single track to Evans Lookout for a shorter day. Get trip notes from google and be sure to take a good map as every time I do the walk I’m giving tourists directions. Some of them have been very disoriented.